San Francisco-based architect Chris Downey lost his sight in 2008 following surgery to remove a benign brain tumor that was pressing against his optic nerve. For someone whose livelihood depended so heavily on vision, such a loss might have forced a career shift. But Downey never considered leaving architecture. Instead he was back to the office within a month, and in the years since, has found incredible ways to work with his blindness. 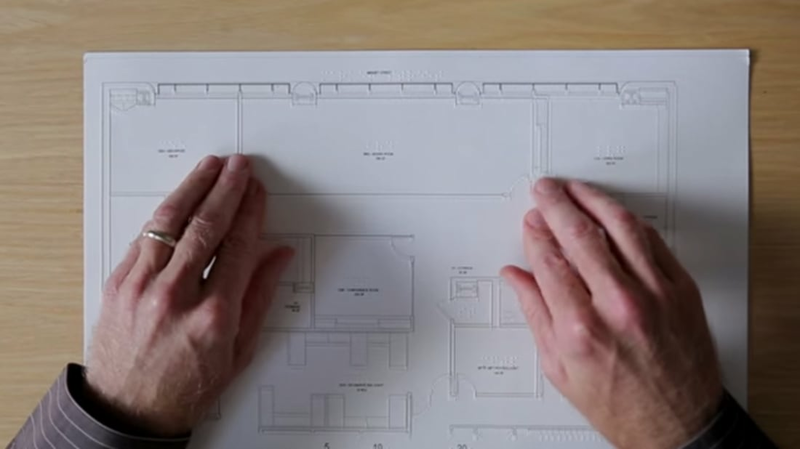 “An essential part of dealing with my blindness was embracing the challenge,” he says in this recent video from the American Institute of Architects. Downey went on to design the Independent Living Resource Center of San Francisco, a nonprofit that provides services and training for people with disabilities. He is currently working on the design of the new headquarters for the LightHouse for the Blind and Visually Impaired in San Francisco, and collaborating with acoustic engineers to make the space sonically useful for those who rely on their sense of hearing to help in wayfinding. To work, Downey uses an embossing printer—which prints braille and tactile graphics—and an inTACT Sketchpad for reading and drawing plans. He believes that in designing space, architects need to be better at delivering multisensory experiences in order to make them more effective for those with visual impairments. In doing so, he believes they are improving the spaces for everyone. In a 2013 TED Talk, Downey talks about how his interactions with the world changed along with his sight. He developed “outsights” about the many subtle sensory experiences we all experience in navigating the world, and the clues we get from sounds, smells, and feelings. Design elements that had always been present now came to the forefront. As one of the few practicing blind architects, Downey is leading the charge in a new way of approaching design. To watch Downey’s illuminating TED Talk, check out the video below.